Posted on 15th October 2018 at 7:01 pm. 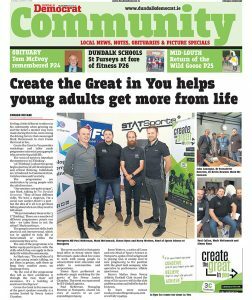 The Dundalk Democrat spoke to Mark about Create the Great in You and our 3 C Thinking! Our Mentoring Programmes & Simon’s Magic were big hits in a talk we gave at the Newry Junior Chamber in September where the Democrat’s Donnard McCabe caught up with us.